Heartland Hunting Consultants offers a variety of hunting experiences. We have personally harvested trophies with all of our outfitters, and would like to share our success with other members of the hunting community. 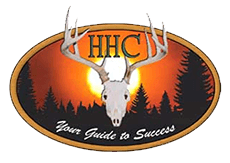 HHC currently offers trophy whitetail and mule deer hunting in Michigan, Ohio, Indiana, Illinois, Missouri, Iowa, Nebraska & Kansas. Each place offers its own unique opportunity to harvest a trophy animal. Click the image below to visit our website.